In the early 1900s, the Ministry of Education in France tasked psychologist Alfred Binet and Theodore Simon with devising a way to identify children who were struggling with ordinary class and needed extra attention. The result of their work helped inspire an intelligence test still in use today. France was making advancements in its education system and intended to reduce the number of struggling children being diverted into asylums. Binet and Simon were appointed to the now unfortunately named Commission for the Retarded, where they became curious about how to study children’s intelligence experimentally. They developed the Binet-Simon scale and made many subsequent adjustments. Based on their experience and observations, the pair included thirty questions they believed a child at each age ought to be able to answer. They gave their test to a group of children selected by teachers as being average, to confirm the test as a standard by which other children could be compared. Questions ranged from very easy (name various body parts) to more difficult (find rhyming words or remember a string of numbers). If, for example, a 9-year-old child passed all the questions that most other 9-year-old children passed, they were scored as having a mental age of 9. While the test may look a little coarse to modern eyes, the fact is that Binet understood intelligence to be multifaceted, ungeneralizable and liable to develop at its own pace. He also believed that there was a strong component of “common sense” and that studies of human intelligence should be qualitative and not quantitative. Though his test was only designed to sort children into a class pitched at the correct level for them, the test soon evolved as a tool to measure total intelligence in the rest of the world. Lewis Terman standardized the Binet-Simon test for the more diverse American population in 1916, where it flourished as a new tool in a rapidly changing political environment, becoming the Stanford-Binet test. The man who originally imported and translated the test, H. H. Goddard, was a proponent of eugenics. His aim was to demonstrate the superiority of the white race, eliminate “feeble-mindedness” and select for an industrially efficient population. Though Binet condemned this outcome, the Stanford-Binet remained America’s most popular test for general intelligence for decades. In World War I Robert Yerkes also worked with both Terman and Goddard to design a controversial test that screened men for training to become officers. In 1939 the idea that general intelligence could be quantified in this way was cemented and David Wechsler published his own test, adding non-verbal elements. After several revisions, this gradually became the test of choice and Binet’s simpler, more verbal test fell in popularity. 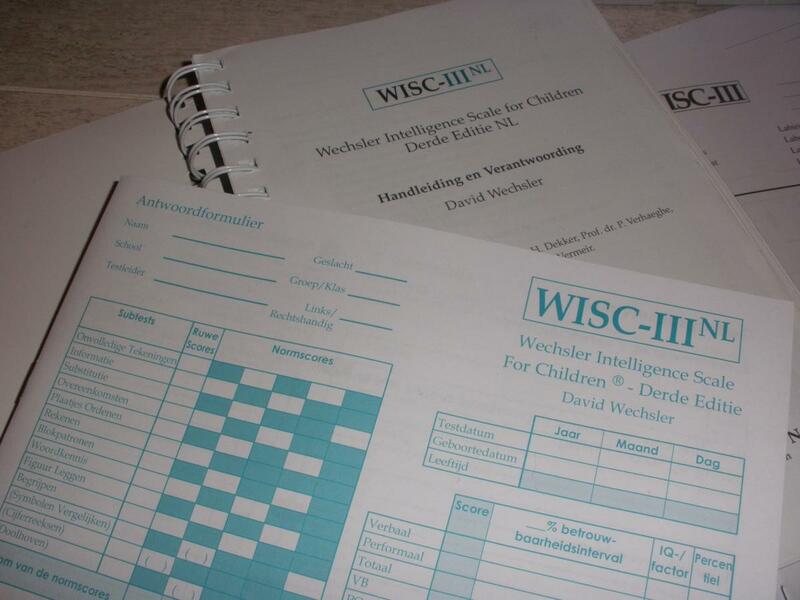 Psychologists have used Wechsler’s test since the 60s to identify learning difficulties in children, but it’s also found widespread use in the workplace.